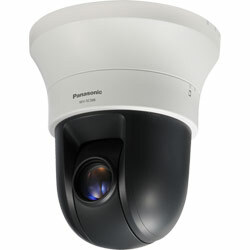 Full HD 1,920×1,280 H.264 weather proof camera featuring optical 30x zoom and Mega Super Dynamic image processing. 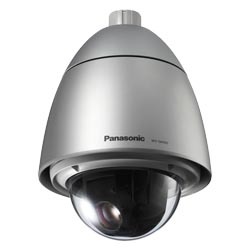 Panasonic’s i-Pro outdoor full HD PTZ network camera is a weather resistant dome network pan-tilt-zoom (PTZ) camera that combines full-frame 1,920 x 1,280 H.264 images, Mega Super Dynamic image processing and 36x optical zoom. 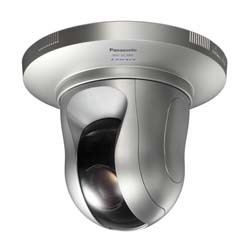 Suitable for high end applications such as airports, transportation, border patrol and correctional facilities, this dome camera provides 1080p Full High Definition (HD) images (1980×1080 pixels) at 30 frames per second (fps) in addition to features such as advanced auto-tracking, smooth PTZ control with 360 degree endless panning, ClearSight™ coating and face detection with Super Dynamic technology. 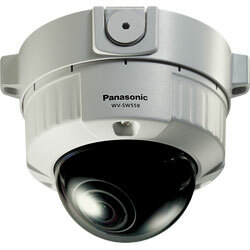 Display Mode: Spot, Quad: Image from 16 cameras can be displayed in 4 different Quad screens or 16 split screen (JPEG only). 20 characters camera title available. Microsoft® Windows® 8 or Microsoft® Windows® 7 or Microsoft® Windows Vista®. 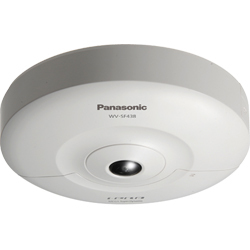 3 When using IPv6 for communication, use Microsoft® Windows® 8 or Microsoft® Windows® 7 or Microsoft® Windows Vista®.